And Luke & I were so honored to be apart of such an event. When Amelia first contacted me about a year ago I listened to her excitedly go over her vision of the big day. She mentioned that she wanted her wedding to be real-life styled shoot. She envisioned a woodland fairytale inspired wedding with hints of gold and navy. I was convinced she was a photographer by the way she was talking. I was also convinced I was getting pranked! Lol. However, she was instead a bride with Big dreams and a love for meaningful and creative details. Amelia left no stone unturned when planning her wedding. The well thought out gifts for her bridesmaids, the homemade limoncello and soaps for guests were just a small part of the whole celebration. On their wedding we were welcomed with rain. The skies opened up in Suffolk and it poured almost the whole day! Nonetheless, that did not stop or even put a damper on the festivities. These two were well prepared and continued on with such joy and happiness. One thing that stood out to me was the way they were so relaxed and easy going. They were so happy that the day finally came and now it was time to party! Amelia was absolutely GORGEOUS in her beautiful Maya Couture gown & her bridesmaids navy blue ruffled dresses complimented her as well as made such a statement! And I just LOVE navy suits! The guys were certainly stylish! And I just cannot end without giving credit to the amazing dream team behind this wedding! The day came together flawlessly thanks to this incredible band of vendors! Luke & I LOVED working with each one of them and we cannot say enough praise about all of them! Thank-You Amelia & David for such a memorable day. You two are wonderful together and you definitely know how to throw a party! We love you guys and we wish you a lifetime of happiness together! 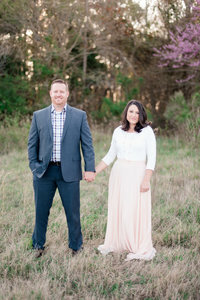 Amelia’s Maggie Sottero Gown was Beautiful! Kat did an AMAZING job on her bouquet!! Even in a tent on a rainy day… This arbor is dreamy! The Newlyweds! Amelia you are stunning! After Party time with the one and only Teaz! I LOVE that flamingo! Hi Guys! These photos are phenomenal, and Amelia looked gorgeous <3 We'd love to blog her wedding if you guys don't mind sending some photos our way!! !